This is what's missing in the good ole USA.A douch-bag like Sharpton deciding what we can and can't listen to. ACTIVIST Reverend Al Sharpton organised rallies across the US overnight calling for pension funds to be pulled out of the music industry until rap lyricists stop employing the "n-word" and terms degrading to women. "We're talking about Viacom, Time Warner, Vivendi," three entertainment conglomerates that Mr Sharpton said would be pressured to clean up musicians' lyrics if threatened by the withdrawal of government-run pension fund investments. 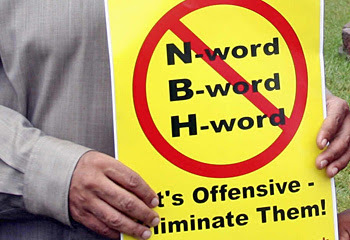 Civil rights campaigner Rev Al Sharpton has called for a ban on racist and derogatory terms in rap lyrics at a series of rallies held across the US. 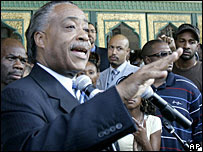 Sharpton believes the entertainment industry should be pressured to clean up musicians' lyrics under the threat of the withdrawal of public money. The Day of Outrage rally included protests in New York, Los Angeles, Detroit, Houston and Chicago. Some people in the music industry have defended rappers' free-speech rights.